Russian winged orbital launch vehicle. 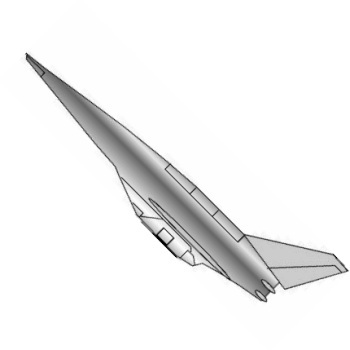 Horizontal takeoff, delta winged, single-stage-to-orbit, launch vehicle. Mixed rocket / ramjet propulsion. Status: Study 1988. Payload: 2,000 kg (4,400 lb). Gross mass: 770,000 kg (1,690,000 lb). Apogee: 200 km (120 mi). LEO Payload: 2,000 kg (4,400 lb) to a 200 km orbit at 51.00 degrees. Family: orbital launch vehicle, Winged. Country: Russia. Agency: Molniya bureau.